Start day one with a bike ride up the Colorado River on the paved bike path into Glenwood Canyon. As you stare up at the 1,300-foot chocolate-colored canyon walls, you will undoubtedly notice that Glenwood Canyon feels like a precursor to the Grand Canyon located nearly 500 miles downstream. As an alternative to cycling, hikers should visit Hanging Lake, a mysterious natural wonder located high in the bluffs. Visit in the morning to avoid the crowds — those on the trail by 5:30am find tranquility and spectacular light for photos. Next, melt any muscle aches away at the Colorado River-side Iron Mountain Hot Springs or long-time favorite Glenwood Hot Springs, home to the world’s largest hot-springs pool. The springs are the perfect antidote for the everyday stresses of life, with mineral-rich waters that fluctuate between 90 and 93 degrees. Swimming lanes, a kiddie pool, waterslides and mini golf add an element of playfulness, while the nearby Yampah Spa & Salon Vapor Caves provide another unique way to unwind. You can follow those sighs of relaxation with squeals of delight at the Glenwood Caverns Adventure Park, where an alpine coaster, mountain sling shot and a new zipline — among other thrill rides — provide year-round exhilaration for all ages. Then, grab some laughs at the Glenwood Vaudeville Revue, where family entertainment and comfort food collide. Or seek out one of the town's three escape rooms. Dine alfresco along Seventh Avenue and stay the night in Glenwood Springs, named the Most Fun Town in America by Rand McNally and USA Today, or head up to Carbondale for shopping, dining, golf or a drive through the magnificent Crystal River Valley. On day two, it’s time to explore Aspen. Renowned as a haven for celebrities, skiers and culture vultures, Aspen manages to maintain a character that is 100 percent Colorado. To experience the essence of Aspen in a day can be a tall order, so hit the ground running with a stroll through downtown to survey the stores that the town is famous for. While high-end fashion may garner much of the attention, Aspen also has a superb selection of children’s shops, bookstores, jewelers and art galleries to peruse. If you are visiting during the summer, check out the Saturday Market for farm-fresh produce and local food-and-drink products. In the afternoon, make ample time to savor the scenery of the valley. 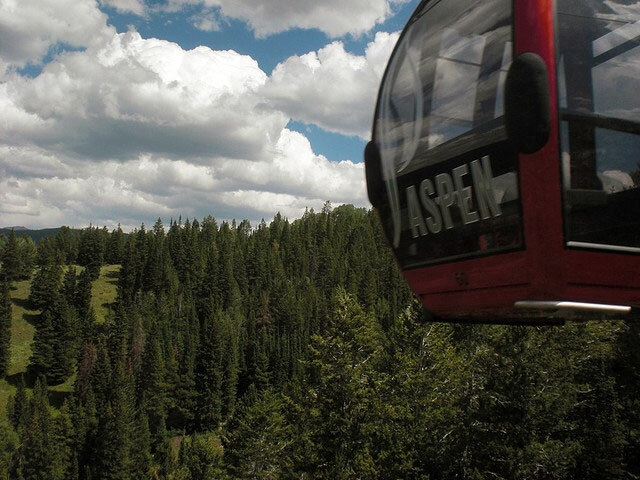 One option is to take a scenic gondola ride to the top of either Aspen Mountain or nearby Snowmass Mountain for breathtaking 360-degree views. On Aspen Mountain, you can hike and dine at the Sundeck, while on Snowmass Mountain you can play disc golf or mountain bike more than 40 miles of on-mountain trails. Or, just one mile from downtown Aspen, try your hand at Gold Butte Climbing Area, which has routes for all levels. Or tackle the new Snowmass Loop Trail, with 25 miles of mountain-biking bliss for riders of all abilities. Or explore the Rio Grande Trail, a paved path that starts in Aspen and follows the Roaring Fork River. Those up for more of a challenge should take the Cathedral Lake and American Lake trails — just two prime spots for amazing wildflower color. Or take in a workshop, artist lecture or gallery tour at the Anderson Ranch Arts Center, an artists’ residency on a historic ranch in Snowmass. The Aspen Art Museum’s building by Japanese architect Shigeru Ban houses contemporary art and dramatic mountain views from its rooftop sculpture garden. Down the valley in Carbondale, the free Powers Art Center focuses on contemporary and Pop Art. In Snowmass, the also-free Ice Age Discover Center teaches about the 2010 find that became the finest high-elevation Ice Age fossil site in the world. As early evening arrives, follow the crowds to Maroon Lake via the free shuttle (9am–5pm). This meadow-ensconced lake takes in one of North America’s most famous mountain landscapes: the striped, tilted pyramids of the twin Maroon Bells. As an alternative, Independence Pass offers a variety of recreational opportunities from hiking and biking to climbing and exploring a ghost town. There’s also the Aspen Center for Environmental Studies, a 25-acre nature preserve just steps from downtown, home to birds of prey and lush riparian ecosystems. Next up is dinner, and you are in luck: For a town its size, Aspen may be one of America’s finest when it comes to food. Much of this has to do with how Aspen’s chefs have embraced the “locavore” movement. The chefs at such renowned restaurants as Peach's and Element 47 at The Little Nell build their menus around what local, seasonal ingredients are fresh and available. Or check out Meat & Cheese for perfect picnic ingredients. As the town’s name might lead you to believe, Rifle, located about 30 minutes west of Glenwood Springs, is a major year-round hunting destination. The area has ranked on several lists of top places in the country to hunt, including Field & Stream’s Top 10 Best Public Lands for Elk Hunting. Detour to the small town of Basalt at the confluence of the Roaring Fork and Frying Pan rivers for fishing and rapids, paddleboarding on Ruedi Reservoir, charming shops and cafes. Amid the myriad of activities, Basalt still preserves it original, quaint charm. Touted as one of “The Top 10 Adventure Towns in the U.S.” by National Geographic Adventure Magazine, Carbondale offers plenty to do including biking, kayaking and world-class fly-fishing. In winter, excellent cross-country skiing can be found at Spring Gulch. The town of Marble is also great for a quick visit to tour its historic downtown, fish in Youle Creek and a trip to the ghost town of Crystal. Visitors who make the off-road trek to Crystal are welcomed by a marvelous sight: the 1893 silver-boom Crystal Mill, an eye-catching remnant of the mining activities that influenced settlement in the area. Paddleboard rentals are available for use on Beaver Lake. Back in town, stop at the Marble Museum and the Marble Gallery to browse the crystallized stone that earned the town its name. New Castle is 9 miles west of Glenwood Springs. Take the self-guided historical tour to learn about the area and meander through and locally owned shops and restaurants. There’s just as much to do in the Roaring Fork Valley during the winter months. The Aspen/Snowmass area is home to four big-time ski areas (Aspen Mountain, Aspen Highlands, Snowmass and Buttermilk Mountain, which has been home to ESPN’s Winter X Games for more than a decade). And Glenwood Springs is home to Sunlight Mountain Resort, where you can ski, hop on snowmobile tours and tackle the scenic Nordic trails on snowshoe or cross-country skis. Photo: Gondola at Aspen Mountain; copyright flickr/Insufficient Postage.